Home » Why is Certified Lightning Protection Necessary in Louisiana? Why is Certified Lightning Protection Necessary in Louisiana? Certified lightning protection in Louisiana is essential for any business owners and property managers. Lightning strikes are a common occurrence in the state of Louisiana. It is important to minimize this threat through the use of this state of the art technology. Here are just a few reasons why it is a good idea to use certified lightning protection installer and UL Listed products in Louisiana. A lightning strike can wreak havoc on electronic equipment and can cause you to lose a substantial amount of data. This can make it difficult or impossible for your business to perform basic functions. However, the best way to avoid this devastating situation is to use certified lightning protection in Louisiana. It will help reduce the risk of any issues or downtime in addition to saving you money. Lightning protection will reduce the occurrence of replacing electronics or any costly repairs in the event of a lightning strike. Lightning strikes can cause substantial damage to any structures on your property. It is essential to use UL Listed lightning protection in Louisiana to avoid this devastating scenario. This equipment can help your business avoid suffering any structural damage and is well worth the investment for any company. However, failing to use any certified lightning protection in Louisiana is a risky option that can lead to expensive consequences. Lightning can strike a roof at any time during a storm and can cause a significant amount of damage. However, the best way to avoid this situation is by using certified lightning protection. This can reduce the chance of your roof experiencing a lightning strike. On the other hand, failure to invest in this equipment can lead to roof damage, which will require costly repairs. A lightning storm can result in deadly consequences. It is important to provide people with the latest protection from these storms. The use of certified lighting protection in Louisiana is a worthy investment that can be the difference between life and death. This state of the art equipment will divert lightning strikes from any building. Lightning strikes are a common occurrence in Louisiana. 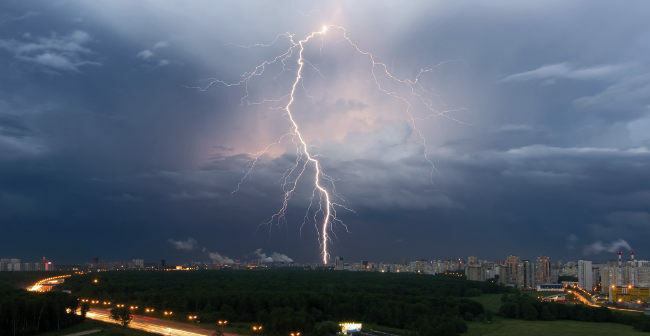 It is important to protect your company from suffering the devastating consequences of a lightning storm. Lightning Master is a company that was founded in 1984, as we specialize in certified lightning protection in Louisiana. We understand the many dangers of a lightning storm and the importance of keeping your buildings well-protected from these storms. We have over 30 years of experience in the industry. It is our mission to provide a risk assessment to your facility and based on these findings, provide our customer’s with recommended lightning protection products. We are also happy to answer any of your questions. Contact us to learn more about our lightning protection systems and to schedule a free consultation!